Elemi oil has traditionally been used to reduce lines and wrinkles associated with aging; and is supportive of healthy skin. Also for soothing muscles discomforts after exercise. A member of the same botanical family as frankincense and myrrh it is steam distilled from the gum or resin of the tree; and you will recognize the smell, as such, immediately! It is unique oil that is not very common and can be hard to locate in therapeutic quality. The tree is native to the Philippine and the Moluccas Islands. Europe has used Elemi to rejuvenate skin. Historically it was used as an ingredient in ointments for hundreds of years! 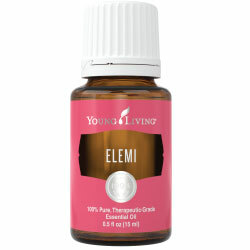 I often times choose Elemi oil over Frankincense. I like the softer feel and smell, especially when doing energy or emotional clearing work. Also use to soothe muscle discomfort after exercise and in conjunction with massage. It is an ingredient in Ortho Sport Massage Oil. I designed this section so you could use it as a fun and easy reference guide. It will tell you how to use your oil and what to use it for. It will also provide you with some fun tips and oil trivia! As I receive new tips they will be added to the page, so check back often! Want to Purchase Therapeutic Elemi Essential Oil? Go to the Oil Shop! Buy Elemi Oil Here! Why is this Information Important? It is always a good idea to know your source and the genus species of your essential oil, so you know what you are getting! Too many companies label essential oils generically which means none of us know what they are putting in the oils they sell to us. What is the Origin of the Plant Name? Elemi comes from an Arabic phrase "above and below" and the word "chryros" meaning "gold". Did you know that the Egyptians used the resin from elemi oil in the embalming process? What are the Plant Properties? Calming and rejuvenating. What is the Aromatic Affect on the Mind? Its spicy and fresh aroma makes is grounding and balancing. What is the Spiritual Influence? Elemi oil, as the name implies, brings balance to both the spiritual and emotional planes. It aligns the chakras and relieves stress to the body. It is often used for meditation for this reason. Those who are depleted emotionally may benefit from this oil. What Chakra is Affected? Balances all the chakras. Opens the solar plexus chakra. Can this oil be used for Animals? Yes, has a calming effect on the horses. Note about Animal Use: Certain oils can be very toxic to cats. Pine and citrus oils in particular which are not of therapeutic grade. Please consult your vet if you are not sure about applying any essential oil to your pet. What are the Safety Precautions? First, only use therapeutic grade essential oils when wanting best results! This oil is approved as a Food Additive (FA) and for Flavoring Agent (FL). Dilution not required, except for the most sensitive skin. Did you know that Elemi is referred to as "Poor Mans Frankincense" because it has some of the same properties and uses, and is in the same family of plants? Did you know that a 17th century physician, JJ Wecker, used Elemi on of soldiers? Use instead of Frankincense or Sacred Frankincense.